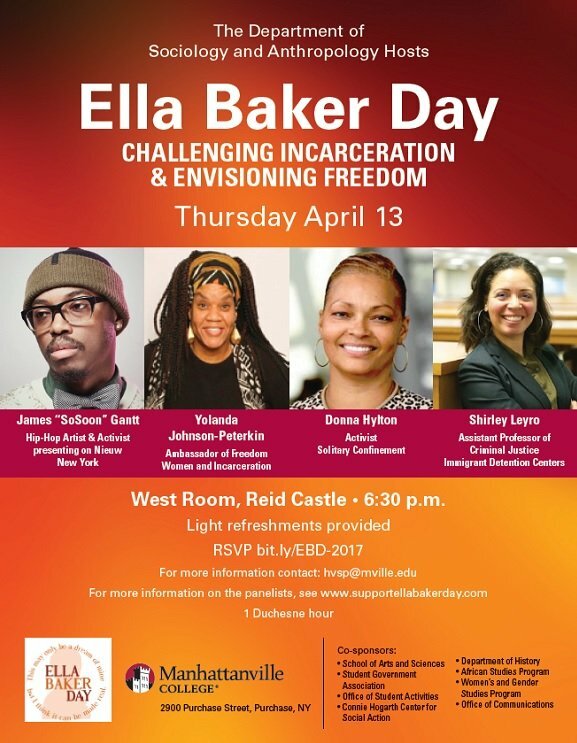 The panel, titled Ella Baker Day, occurred on the evening of April 13 at Manhattanville College in the swanky suburbs of New York City. A single year of tuition, fees and room and board at Manhattanville costs $56,550. The Ella Baker Day panel focused largely on the rights of prisoners. Hylton “went on for about 30 minutes” about the “physical aspects of the jail” and about her complaints as a prisoner, according to the student who asked Hylton about her criminal past. Without question, Hylton is no innocent victim. Hylton reportedly delivered a ransom note to one of Vigliarolo’s friends asking for more than $400,000, even though the sexually-tortured man was already dead by that point. Hylton’s delivery of the ransom note led to her arrest. A 1985 article in The New York Times, which misspelled Hylton’s last name as “Hilton,” put the ransom demand at $435,000. For her participation in the murder, Hylton received a prison sentence of 15 years to life. She served 27 years. Despite speaking for nearly a quarter of the two-hour Ella Baker Day panel at Manhattanville College, Hylton never disclosed her crimes. The student did some on-the-spot Internet research. Then, during a question-and-answer period at the end of the event, the student asked Hylton a question. “I was wondering why you did not speak about why you were incarcerated. It makes me question if you think you were incarcerated unjustifiably for murdering a gay man.” the student said. According to the student, Hylton responded by saying that she had not come to the Manhattanville campus to discuss her crimes. She insisted that she was only there to talk about how she was sad that she had a bad time in prison. A second Ella Baker Day panelist, Shirley Leyro, then loudly declared that the student was being disrespectful by inquiring about the murder-related crimes Hylton committed. “She said I had embarrassed Hylton,” the student said. Leyro is an assistant professor of criminal justice at Borough of Manhattan Community College. Her research “focuses on deportation effects – including the impact of the fear resulting from the vulnerability to deportation,” according to her website. The student elaborated on why she asked Hylton about the murderous crimes she committed. The student does not want to be named and did not speak to school officials about Hylton’s appearance on campus, partly out of fear of making them mad. “I would love to hear their answer about why a murderer was on our campus,” the student said. A Manhattanville College spokesman provided TheDC with a statement about Hylton’s campus appearance. “Hylton is a nationally recognized speaker on the issue of solitary confinement, which is why we invited her,” Strmic-Pawl wrote. Strmic-Pawl admitted that Hylton and other panelists “received a small honorarium for speaking at Ella Baker Day” but refused to say exactly how much Manhattanville College paid Hylton for her two-hour appearance. Strmic-Pawl also chose not to indicate whether she or anyone else had advised students at Manhattanville concerning the crimes Hylton committed. The Ella Baker Day event offered “1 Duchesne hour” to attendees. “Duchesne hours” are credits that are mandatory for Manhattanville students who receive community service scholarships — worth $2,000 per year. The scholarship recipients must acquire 45 “Duchesne hours” each semester to keep the scholarships. Ella Baker, the civil rights activist celebrated on Ella Baker Day, “worked closely with nearly every major civil rights organization” during her life (1903 to 1986) and “personally mentored major civil rights era activists” including Stokely Carmichael, according to Manhattanville College press release. Carmichael was a one-time “honorary prime minister” of the Black Panther Party. The Manhattanville student who asked Hylton about why she landed in prison called the college’s essential concealment of Hylton’s crimes disappointing.